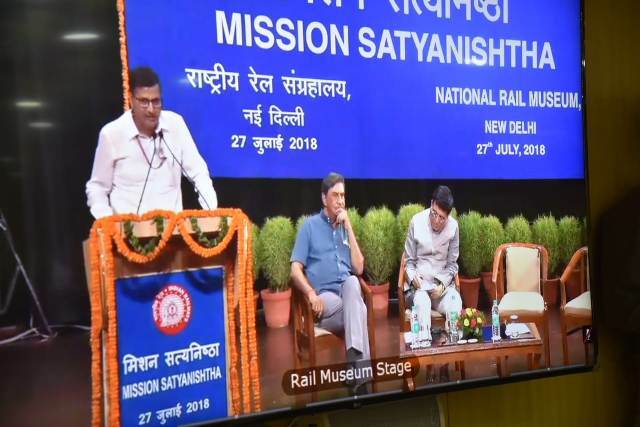 Shri Ashwani Lohani, Chairman Railway Board launched “Mission Satyanishtha” - program o­n ethics in Public Governance for Railway Officers/ Supervisors today i.e., 27th July, 2018 at the National Rail Museum, New Delhi. All the Zonal Railways and Production Units were joined through Live Webcast from New Delhi. On South Central Railway, the program was arranged for webcast at the Headquarters, all Divisions and Workshops. At the SCR headquarters Rail Nilayam, Shri Vinod Kumar Yadav, General Manager, SCR; Shri John Thomas, Additional General Manager; Shri N.V.Ramana Reddy, Principal Chief Personnel Officer; other Principal Heads of Departments, Officers and Supervisory staff participated in the day long program to mark the launch of “Mission Satyanishtha”. 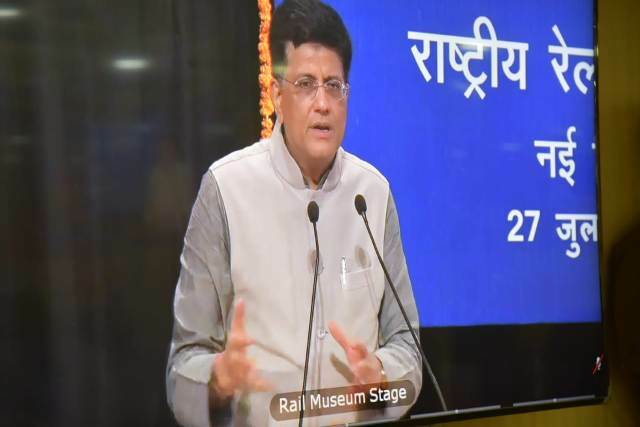 Shri Piyush Goyal, Hon’ble Minister of Railways in his address emphasized that allowing a wrong is also a compromise of ethics and therefore, standing and watching a corrupt deed is not agreeable. Lethargy in the system is also a unethical practice, the Minister stressed. Welfare of the staff is an avenue of ensuring that the ethics, integrity and probity remain tuned in to their personality, he opined. It is from within ourselves that these positive qualities should start, he said. Earlier, in his inaugural address, the Chairman Railway Board stressed o­n the importance of all railway servants to maintain impeccable conduct and integrity in the course of their duties. This is vital in the context of the fact that issues of corruption, ethics, integrity and probity in public life have always been a matter of concern. “Mission Satyanishtha” is meant to sensitize Railway Officers and Supervisors about the need to adhere ethics to maintain high standards of probity in public life. Facilitators who took various sessions o­n the day include Shri Shri K.V. Chowdary, Central Vigilance Commissioner; Dr. Nanditesh Nilay; Shri Mahesh Kapoor, IRTS, former Advisor, Planning Commission; Shri Shanthi Narayan, IRTS, former Member Traffic, Railway Board; Shri Prabhat Kumar, IAS, Former Cabinet Secretary; Shri Mukund. B. Kaushal, IPS, former Secretary, Internal Security, Ministry of Home Affairs; Shri Anil Swaroop, IAS, former Secretary, School Education and Literacy, Ministry of Human Resource Development and Shri Balvinder Kumar, IAS, former Secretary, Mines.